Most of our new clients come from referrals – this says a lot about how much our clients trust us. Listen to Small Business Advisor Founder, Karen Bershad, describe how the expert team at Small Business Advisor trains and helps small businesses optimize their decisions for growth and financial data management. Recording of live interview on “Midtown Business Radio” at Business RadioX Studios in Atlanta. Making financial decisions is a daily occurrence and with help from The Small Business Advisor, those decisions are made with more clarity and less stress. With over 30 years of experience running several successful businesses, Karen Bershad knows and understands all the demands of business ownership. Karen is a Certified Intuit QuickBooks ProAdvisor who leads her team of expert ProAdvisors to deliver accurate, insightful and timely bookkeeping services. As a Small Business Advisor client, you will benefit from her high business standards, solid advice and exceptional service provided by her and her expert team. 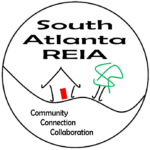 Karen and her team also provide industry-specific workshops and classes for Atlanta REIA and other organizations. Learn more about training topics available as one-on-one sessions or industry-specific group workshops. We are an expert team of Intuit QuickBooks ProAdvisors and an Authorized Affiliate for both the desktop and online versions including QuickBooks® for Mac.